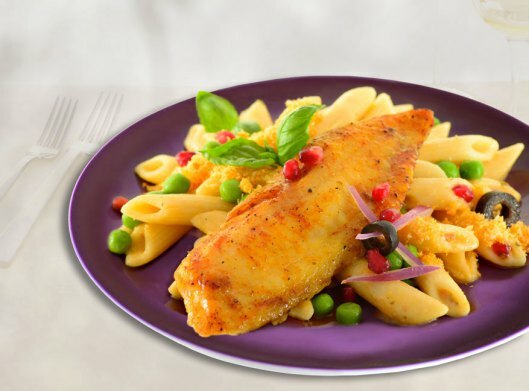 Courtesy of Stella Lorens, Culinary Artist, Michelle Lansky, Culinary Writer – Edward Don & Company, Woodridge, IL AUTUMN NORTHERN (CHICAGO) ITALIAN Lake perch fillets pan-fried with Vesuvio Sauce (Chicago Style) with peas. Complimented with pomegranate seeds, sliced black Olives, Parmigianino, fresh basil, and red onion slivers. Ombre by Tafelstern I Want to Deep Plate! Sign Up For New Product Alerts, Deals, And More! Copyright © 2019 The Hode Group, Inc.